Home > GIFT IDEAS (Browse All) > Blue Earth Pendant: Give her the world! Blue Earth Pendant... Give her the world! 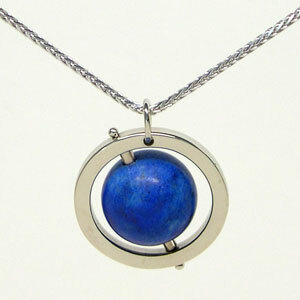 Blue Earth Pendant: Give her the world! This original design was inspired by classic globes of the past. The gold circle both supports and frames the deep blue Lapis Lazuli stone, enhancing its visual power. The circle of 18k white gold is 3/4" in diameter. 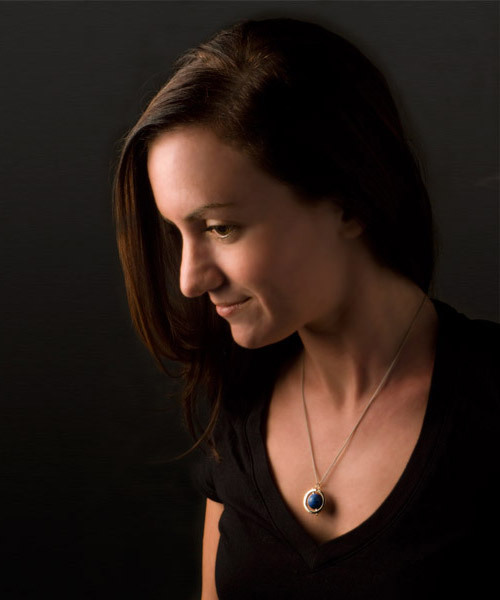 Each Blue Earth Pendant is hand crafted using 18k white gold and a single blue stone. It comes with a white gold chain. See all our Original Jewelry.